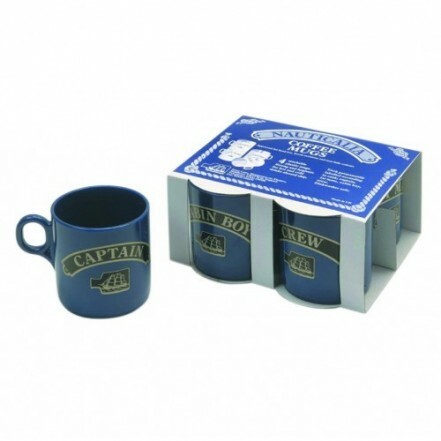 Labelled according to rank, these sturdy plastic mugs come in sets of four, one each for the Captain, First Mate, Cabin Boy and Crew - and feature the Nauticalia ship-in-a-bottle logo. Mugs are stackable for convenient storage. Can be used for hot and cold drinks and are dishwasher safe. 245ml capacity.